Amir Ziv, a journalist and writer, was born in 1968. He holds a law degree from the Hebrew University of Jerusalem. After working briefly as a lawyer, he changed direction and started a completely new life in journalism. 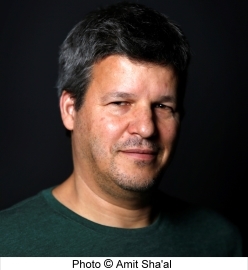 Since 2007 he is deputy editor in chief of Calcalist, Israel's leading business and financial daily; he is also editor in chief of its weekend supplement. 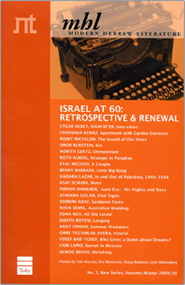 Over the years Ziv has published numerous articles and essays. His first novel, Four Fathers, a national bestseller, received enthusiastic reviews and was awarded the Brenner Prize for debut book (2017). Four Fathers is also shortlisted for the 2017 Sapir Prize. Ziv lives with his family in Givatayim.